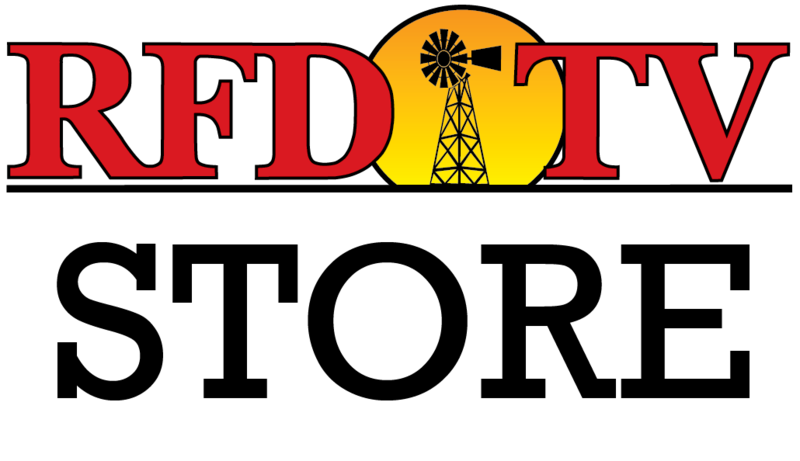 Three top-tier rodeo athletes will get to ride and rope for the most money in the history of their careers this winter, thanks to a new twist at RFD-TV’s THE AMERICAN, presented by Polaris RANGER inside AT&T Stadium. The odds will no doubt be against them, because it was difficult at best for the three to have already won two consecutive titles at the first two editions of THE AMERICAN. These three competitors are barrel racer Lisa Lockhart, team roper Kaleb Driggers, and saddle bronc rider Wade Sundell. If any of them wins the event for a remarkable third time in 2016, he or she will win RFD-TV’s THE AMERICAN Triple Crown and be eligible to collect all or a piece of the $1 million bonus normally reserved for event champions who were exempt or advanced through THE AMERICAN Semi-Finals. “Lisa Lockhart is no rookie to the sport of rodeo. 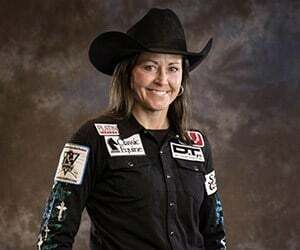 She’s been training horses and competing professionally since 1993, and has earned eight consecutive trips to the Wrangler National Finals Rodeo. Lisa won the WNFR average title in 2014, three years after the famous buckskin gelding she trained, “Louie,” was voted Horse with the Most Heart at the WNFR. During RFD-TV’s THE AMERICAN in 2014, Lisa clocked a time of 14.035 seconds to win the $100,000 first-place prize. Her success continued at AT&T Stadium last March, when she again had the fastest final time to win the 2015 AMERICAN in 14.726 seconds. At 26 years old, Kaleb Driggers already has a long list of accomplishments. In 2009, he kicked things off in the PRCA as the team roping (heading) Rookie of the Year. In the five years since, the young cowboy has earned four Wrangler National Finals Rodeo qualifications and two invitations to RFD-TV’s THE AMERICAN. Kaleb won the 2014 rodeo inside AT&T Stadium with former world champion heeler Patrick Smith on a run of 4.38 seconds. Then, in 2015, he took the victory lap again with Oklahoma heeler Travis Graves after a run of 4.52. 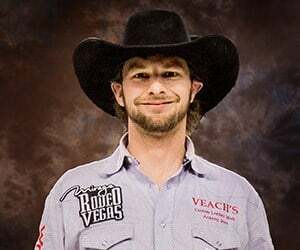 The interesting twist for Kaleb this year is that he also has an outside chance of being the only contestant competing twice in team roping – once on each end. Kaleb has qualified for THE AMERICAN Semi-Finals two times as a heeler. If he should advance to THE AMERICAN from that end, he will have a shot at the million dollars not only as a Triple Crown contender in heading, but also as a heeler. Wade Sundell is no stranger to the rodeo lifestyle, even though he’s one of only a few professional full-time cowboys who halls from Iowa. Born into a rodeo family, he grew up watching his father ride saddle broncs professionally. Wade qualified for the Wrangler NFR the first time in 2009 and has earned a qualification every year since. 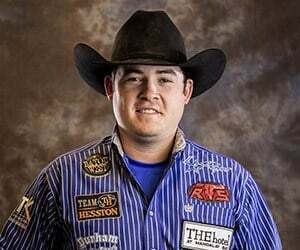 The loaded-with-personality Wade took home the win in rodeo’s classic event at RFD-TV’s THE AMERICAN in 2014 with a ride of 92.5 points on Frontier’s Short Stop, and continued his success inside AT&T Stadium in 2015 with a score of 90.75 points on Frontier’s Medicine Woman.